In psychology, the study area of human behaviour, they were developed some theories aiming to explain behaviours. The main theories created to explain behavioral changes in the individuals involve roles to norms, values, and attitudes. Suggestions of these theories are that changes in the individuals’ attitudes and values and the establishment of norms related to sustainable development could lead to sustainable behaviors (Schmitz 2019). Some studies using these theories focus on proenvironmental behaviors (for example, Lalot et al. (2017), McGrath (2018), and Wong et al. (2018)). However, it is necessary to consider the three spheres of the sustainable development (economic, social, and environmental). It is based in this understanding that some authors (for example, Ballantyne and Packer (2005, 2011), Sahin and Erkal (2010), and Iveroth and Bengtsson (2014)) tend to investigate the sustainable behaviors as a whole. In this chapter, we will discuss the theory of planned behavior and some practices that were reported as collaborating to more sustainable behaviors. With the establishment of the sustainable development of new patterns of behaviors, the so-called sustainable development (UNESCO-UNEP 1991) started to be aimed and developed. 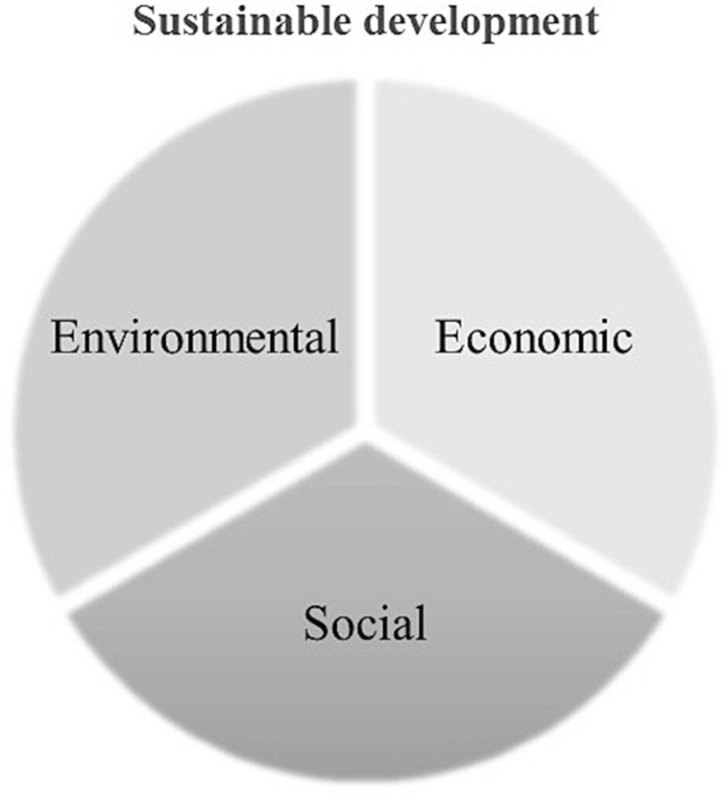 Considering the three spheres of the sustainable development: economic (economic decisions considering present and future needs), environmental (stimulate users to adopt more environmentally sustainable patterns of use), and social (enable users to adopt a healthier lifestyle), this new pattern of behavior is called sustainable behavior. The sustainable behaviors are those generally defined as the set of behaviors that encompasses peoples’ values, norms, beliefs, and senses of responsibility in deliberate actions focused to providing well-being of all living beings, including present and future generations. Sustainable behavior is considered relatively complex because it is a shared responsibility of individual citizens, communities, local authorities, government, and industry, not only to develop but also to promote and maintain the sustainable behaviors and practices. In the psychological literature, authors are describing examples of sustainable behaviors that should be promoted via different ways (school practices and projects, work environment practices, and others). For example, it could be cited the set of sustainable behaviors that was composed by bicycling, replacing the car use, low water usage, garbage segregation to reuse and recycling, low energy consumption, reduction of the meat consumption, and others. However, it is difficult and complex to promote and maintain in the individuals the sustainable behaviors. So, considering it, psychologists developed theories to help to explain the human behavioral change. An important theory was proposed by Ajzen and Fishein (1980) and was called theory of reasoned action. Over the years, some gaps appear, and to respond to them, Ajzen proposed the theory of planned behavior in 1991, that is an improvement and a complement of the first one and is described above. It is well known that to explain the human behavior is difficult. Various theoretical frameworks have been proposed to deal with the psychological processes involved in the development of behavior. However, the majority of the studies concerned about human behavioral change are being developed founded on the theory of planned behavior. The theory of planned behavior, proposed by Ajzen (1991), performs the task of explaining human behavioral change. This theory is an extension of the previous theory of reasoned action (Ajzen and Fishbein 1980). The theory of planned behavior was proposed aiming to predict and explain human behaviors in specific contexts, for example, the sustainable behavior. In accordance with this theory, attitudes, norms, and perceived behavioral control are the predictors of the behavior. In the theory of planned behavior, the central factor is the individuals’ intention to perform a specific behavior. The intentions are assumed to group the motivational factors that could influence the behavior. In this way, the intentions are indications of how hard people are willing to try, of how much of an effort they are planning to exert, in order to perform the behavior. Therefore, in general, we say that the stronger the intention to engage in a behavior, the more likely should be its performance. The behavioral intention is predicted by three factors: the individuals’ attitudes toward the behavior, the perceived behavioral control, and the subjective norm. Attitudes are evaluations that an individual do in relation to an object, that is the behavior in question. The individual’s attitude refers to the intern evaluation if a specific behavior is good or bad, positive or negative, favorable, or otherwise. The attitude must be specific since this specificity will allow the prediction of the specific behavior. The second factor is the subjective norm, which is a social factor and refers to the social pressure to perform or not to perform a specific behavior. In terms of sustainable behavior, the norms that should guide individuals’ actions are the 17 objectives of the sustainable development, described in the Agenda 2030, proposed in September 2015 (for more information, please check Schmitz 2019). Another factor that will predict the behavior is the individuals’ actual control over the behavior when it is under the individuals’ control; it means if the person can decide at will to perform or not to perform a specific behavior. This factor is called perceived behavioral control and it is the major factor that differentiates the theory of planned behavior from the theory of reasoned action. The perceived behavioral control generally varies across situations. In the context of the theory of planned behavior, the performance of a behavior is a function of both intentions and perceived behavioral control. Therefore, as a general rule, how more favorable is the individual’s attitude and subjective norm with respect to the sustainable behavior, and the greater the perceived behavioral control, the stronger should be the individual’s intention to perform a sustainable behavior, that in turns leads to the sustainable behavior itself. The Figure 2 summarize the Theory of Planed Behavior. In order to achieve sustainable development, some studies are being performed in different countries by several authors in the last years. The majority of those studies are concerned to promote sustainable behaviors using the assumptions of the theory of planned behavior, in several spheres of society, for example, schools and firms. An example of studies performed to promote sustainability is the study performed by us in the last year. In this study, we found an increase in the scores that represent the student’s sustainable behavioral intentions and attitudes and also the student’s environmental knowledge after participating in an environmental education program during the school year of 2017 (for more information, see Schmitz and Rocha 2018). Other authors are concerned about the economic sphere of sustainable development. For example, the report by Medeiros et al. (2018) that designs for sustainable behaviors plays an important role in promoting sustainable behaviors. The design for sustainable behaviors aims to identify the motivations and the way users assimilate or not consumption habits aligned with sustainability. Another example of study involving sustainable behaviors is reported by Kim in 2015. In her work, she found positive relations between corporate environmentalism and innovative activities in a firm. This is an example of work that demonstrates the sustainable behaviors in the economic sphere of the sustainable development, and its applicability in the business world. However, it is important to consider all spheres of the sustainable development. An example is the study performed by Iveroth and Bengtsson (2014) considering sustainability as a whole. In this study, the authors showed how the change toward sustainable practices is an entanglement of social and technical-structural elements. In the process of behavioral change, structures such as information technology are the enablers, and the actors and their social activities are the tipping-point factors that ultimately determine the success of changing individuals’ behavior toward a more sustainable direction. Although, education is being considered an important tool to promote sustainable behaviors, once children could lead to this kind of behavior to its adult lives. In accordance with McKeown and Nolet in 2013, education process is an important factor to change behaviors and develop sustainable behaviors. It suggests that to promote sustainable behaviors, we should address our efforts in basic education, changing children’s behaviors in a more sustainable way. Finally, in the study reported by Lilley in 2009, it is presented three strategies to induce sustainable behavior and behavioral change. The strategies are: (1) eco-feedback and providing tangible information as reminders to people about resource exploitation; (2) behavior steering and encouraging people to behave as planned, through benefits and constraints; and (3) persuasive technology and applying persuasive methods to change what people think or do. In accordance with Lilley (2009), strategy one directs to the change, strategy two works in maintaining it, and strategy three guarantees the behavioral change, while all intervention levels can influence people’s behavior. The importance of sustainable behaviors and its development seems to be of concern to several he change of behaviors is the effective way to promote sustainable behaviors in grown-ups, while in children they can be developed during the scholar time. It is well known that shape childrens’ behaviors is a easier that those of adults, because they are adjusting their behavors and attitudes in accordance to those of groups. In this way, the development of educational policies to promote the education to sustainable development since the first years of socialization in an environment with well established rules, the school.